I was nervous, but I hope my passion for Firain comes through! Let me know if you listen to the podcast. 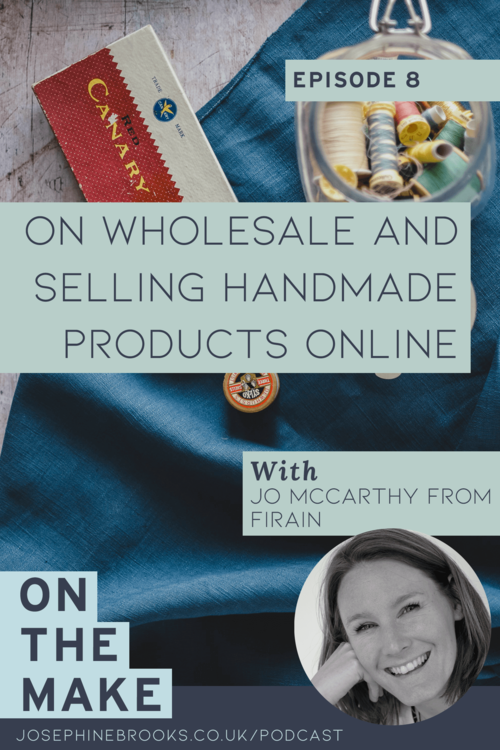 The details again: the lovely Josephine Brooks has a wonderful podcast ‘On The Make’ which digs into the details of running small businesses and promoting handmade, craft items. Click here or follow this link https://itunes.apple.com/gb/podcast/on-the-make/id1409399701?mt=2 to listen about how much I love working with small makers. Josephine has a gorgeous, calming instagram feed @josephinepbrooks - you will love following her inspiring and useful posts.